"ParaSite - Opus Torpille" was our contribution to Opus Torpille, a collaborative intervention at the Fort des Dunes in Leffrinckoucke, near Dunkerque (F). The event was organized by La Plateforme within the context of Dunkerque l’Européenne 2007 and involved fourteen international artists. The guiding premise was to realize a number of individual outputs which can be linked, physically and/or conceptually, in order to create a unified site-specific oeuvre. 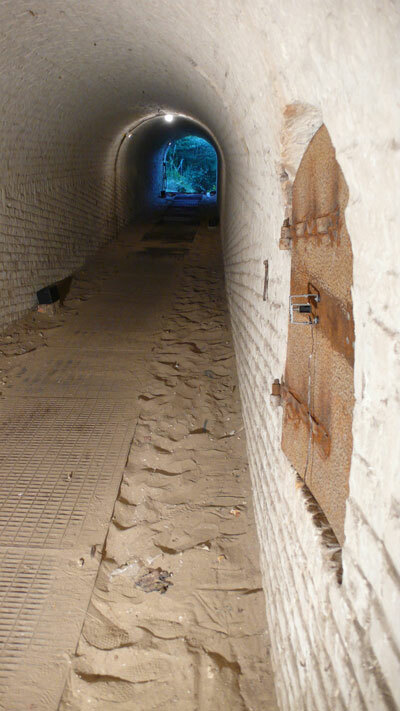 This version comprises an electromagnetic beater attached to a window shutter, situated inside the entrance corridor of a caponier. 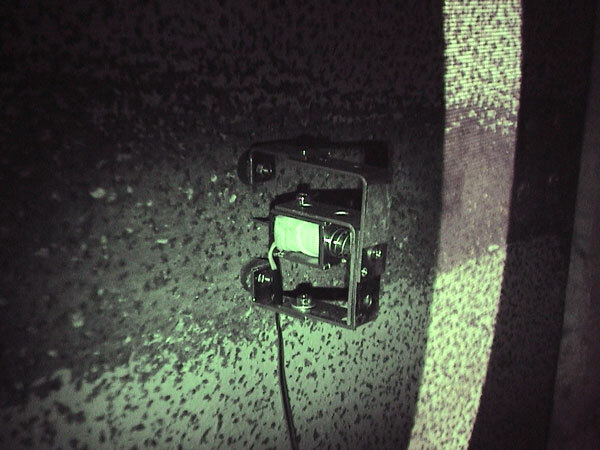 Tapping the metal surface of the shutter, the beater produces a Morse code pattern which translates into "Opus Torpille". 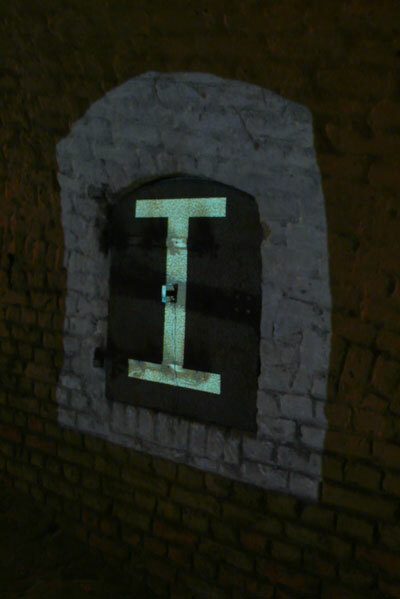 In addition, each time the sonic sequence of an individual letter is completed, a projection of that letter is superimposed over the window shutter. The output of "ParaSite" fed into the work of other artists, where it was used as sonic raw material as well as a kind of sequencer, triggering different changes synchronously. The work’s title should be taken in all its ambiguity: while the physical shape and movements of the beater are reminiscent of a parasite piercing its mouthparts into a host’s body, within the context of this intervention its actual function might be rather viewed as being auxiliary. That is, both in terms of aiding to reveal an inherent sonic aspect of a particular architectural element within the site as well as providing a supporting meta-sequence for the collaborative oeuvre.